We were appointed to work with Adidas on their high profile Ace & X boot launch following the awaited launch of the Adidas Messi 15 boot. 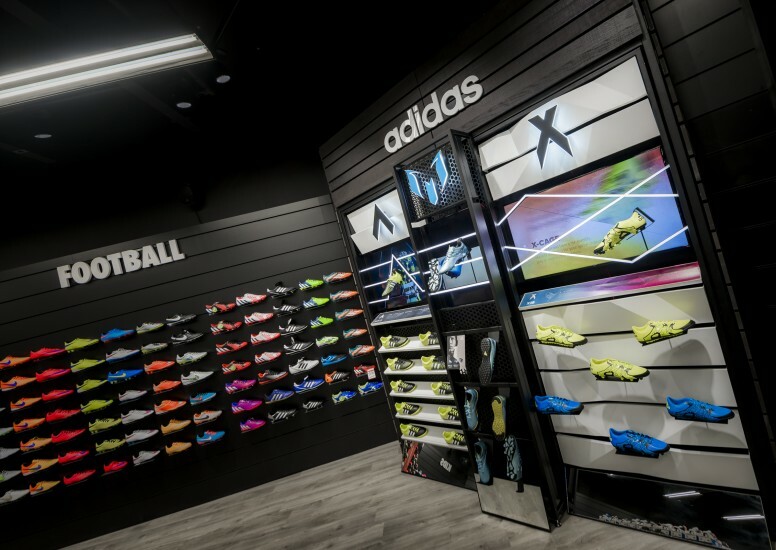 As part of the huge global launch, D4R helped roll out premium boot walls in key locations around the UK and Ireland including Harrods, DW Sports, Lifestyle Sports and Elverys totalling 80 stores. 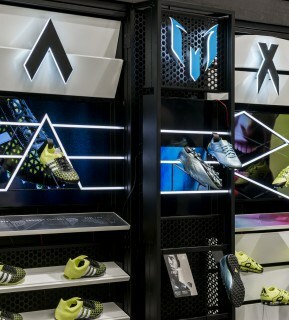 Each store got varying levels of treatment and finish but the overall look is consistent and clearly Adidas Ace & X. The branding is subtle using simple brand marks to navigate to Ace and X boots. Led lighting and screens help create impact at eye level heroing the product. 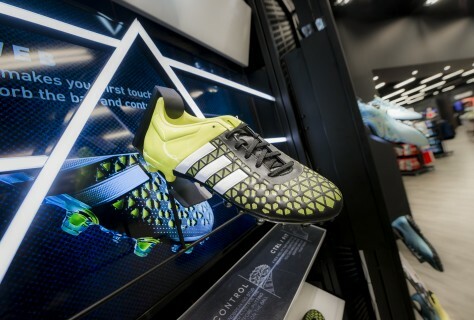 The Harrods boot wall sits nicely within the existing ‘House of adidas’ which we helped launch in 2014. This area features most notably an exclusive adidas ‘digital shoe bar’ which traces back to the manufacturing behind each style.